Pure Leaf Black Tea with Berries is made with premium long leaf tea for a smooth and delicious taste your guests will appreciate. Ideal for restaurants, cafés, hotels, and high-end workplaces, Pure Leaf Black Tea with Berries features single origin Kenyan black tea combined with a blend of strawberries, raspberries, red currants, and blackberries. 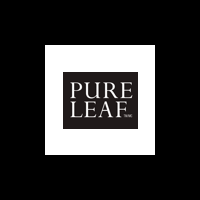 All Pure Leaf tea is sourced from Rainforest Alliance Certified tea estates from around the world. The tea leaves are simply picked, rolled, and crafted for an exceptional flavor that will please any tea lover. Pure Leaf pyramid tea bags, strings, and tags are made from plant materials that are fully renewable and compostable, and both the envelope and carton are recyclable.